An invoice shouldn’t just be created for the sake of getting paid. In fact, your invoice can strengthen your brand, present a more professional image and even help with faster payment. Learn how to make the most of your invoices with this simple guide. Date of issue and invoice number: Including this information will make your invoice easy to find and reference. The invoice recipient’s details: Your invoice should be clearly addressed to whoever contracted your work or purchased something from you. For example, a freelance graphic designer that worked for a magazine may send it to the editor. If in doubt, ask who your invoice should be addressed to. Your contact details: This includes your logo, business name, address, website and ABN, along with your name, email and phone number – or that of your accounts person. Job details: This should say what the invoice is for. For example, if it was a trade job, it may include a breakdown of materials, cost of labour, the dates the work was undertaken, and if GST has been charged. Payment details: Make sure you include your bank account details, the invoice due date, and the payment options available, such as bank transfer, credit and debit card, PayPal, cash etc. Your invoice should also clearly outline your payment terms. For example, if you expect to be paid within 30 days or less, make sure you’ve specified this. The design and layout of the invoice equally as important as the content. It should be well designed, aligned with your business’s branding, and easy-to-read and understand. For example, use white space and highlight key details, such as the invoice due date. 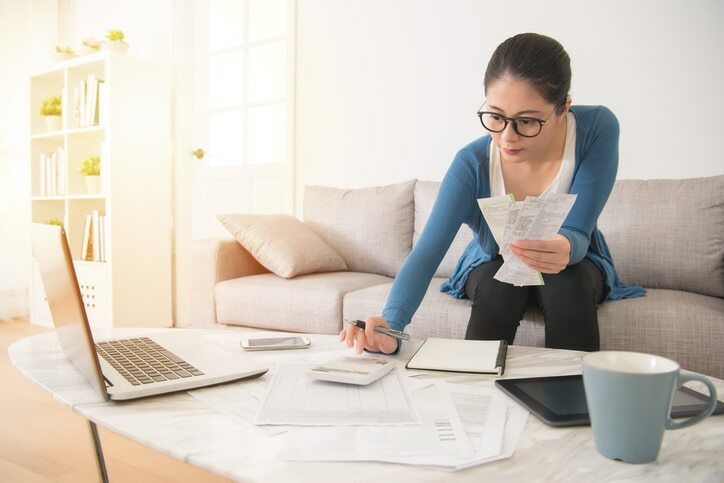 Australian businesses spend an average of 12 days chasing invoices each year, with $13,000 the average amount a business is owed at any one time. If you’re experiencing delays getting paid, it could be related to how you invoice. Try these handy tips. Be polite but straightforward: Adopting a polite tone and adding a personal message with the recipient’s name when sending invoices is always appreciated. Note in the email subject line that it contains an invoice so that it doesn’t get lost in their inbox. Sending your invoice right after completing the job can also encourage prompt payment or, if an invoice is overdue, send a friendly reminder email to help drive payment. Make paying easy. Add a ‘Pay Now’ button on your invoices so busy customers can pay their bill online instantly. This is easy if you use accounting software, like QuickBooks Online. Simply add your PayPal account and your customers will be able to make payments via credit, debit, or using their own PayPal account. Make your payment terms clear from the start. Ensuring your customer understands and accepts your payment terms before you start work for them, will speed up the process so that they are paid when you expect them to be paid.